Devine African Safaris is a leader in conservation-oriented small and large group travel. 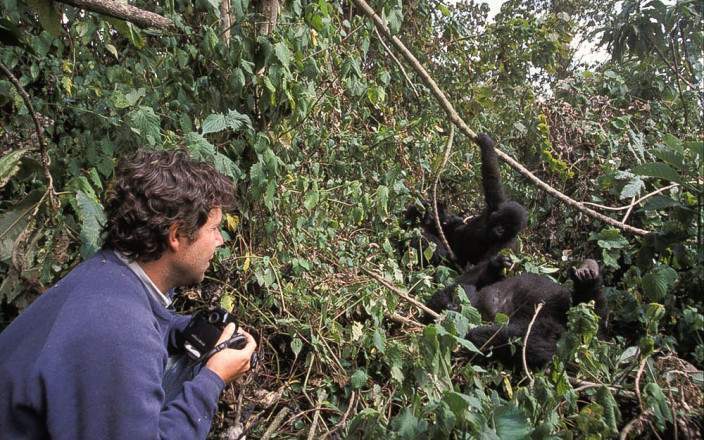 We connect travelers, adventurers, photographers and conservationists through adventure gorilla trekking safaris, Uganda tours, Rwanda tours. Planning a holiday with us begins with listening to your dreams and what you have visualized as the starting point. We then craft a personalized itinerary to make it real. Our staff are experts at knowing what is possible, practical and advisable. Our Gorilla trekking safaris are combined with Community village walks which immerses visitors in the customs and practices of the local people. The village walk tours take in varied activities such as farming, brewing local beer, dispensing traditional medicines and conclude with dancing displays by members of the Batwa community. We offer uniquely designed luxury gorilla safaris, budget gorilla safaris, affordable gorilla trekking safaris in Uganda, gorilla safari holidays in Rwanda, gorilla tours in Congo, chimpanzee tracking Uganda safaris, cultural tours Rwanda safaris, birdwatching Uganda tours, wildlife adventure safaris in Uganda & Rwanda & combined Uganda gorilla safaris and Rwanda gorilla tracking safaris. 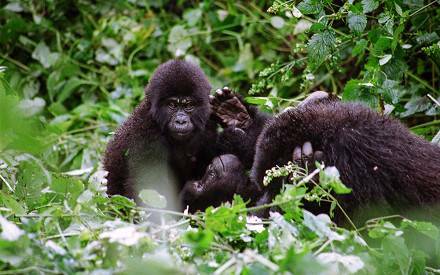 Do you want to see the mountain gorillas , but you don't have much time? Fly into Kigali! We pick you up from Kigali and drive you in only 4 hours to Bwindi Forest in Uganda. For those looking to save time, get an excellent view over the Virunga Mountains, and commune with the gorillas, this is the perfect tour. One of Africa’s major highlights is when you encounter mountain gorillas on a flying in gorilla safari. Follow the mountain gorillas as they range freely in the impenetrable forest, and discover their gorgeous natural habitual and the many species they share it with. Fly into the Bwindi impenetrable forest. 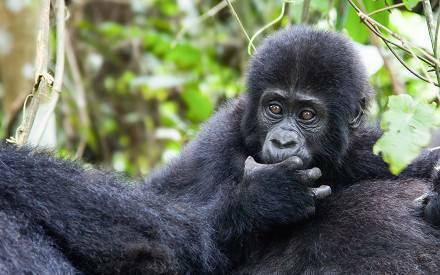 This 3 days gorilla tracking Bwindi Forest tour takes you from Entebbe Airport to Bwindi for gorilla tracking. Follow the mountain gorillas as they range freely in the impenetrable forest, and discover their gorgeous natural habitual and the many species they share it with. Fly in for gorilla trekking and penetrate the impenetrable Bwindi forest for once-in-a-lifetime opportunity to spot endangered mountain gorillas in their natural habitat. Join experienced game rangers and penetrate deep into the Uganda’s Impenetrable forests. Our gorilla trekking safari trucks are an adventurous and inexpensive way to see the highlights. Experience a world apart as you encounter the colorful cultures and wild landscapes of Uganda. During this six day tour you will get to see why Sir Winston Churchill called Uganda "The Pearl of Africa". The beautiful country filled with smiling faces, is not only home to some of the rarest primates in the world. It is actually becoming a top safari destination, attracting visitors who also come to enjoy the African wildlife including Leopard and Lions along with a wide variety of plains game. You will stay in an excellent array of comfortable lodges while on this trip. This trip will show you the best of what Uganda has to offer. Queen Elizabeth National Park has teeming wildlife and a grassland savannah and Bwindi Forest is full of interesting endemic flora and fauna. On top of this you will find highlights like gorilla tracking, chimpanzee tracking and the boat safaris. And, as with all our midrange trips, you will stay in an excellent array of comfortable lodges. You will stay in comfortable lodges while on this trip. Meet eye to eye with the amazing gorillas and chimpanzees of Uganda in their natural habitat, one of Africa's major highlights. This close encounter with these amazing apes is simply breathtaking, also get a close encounter with other diverse African wildlife, beautiful landscapes and amazing culture and if you are a keen Birder, this is the place to be. Experience the wonder of the World’s renown Murchison Falls as it squeezes through the narrow gorge. 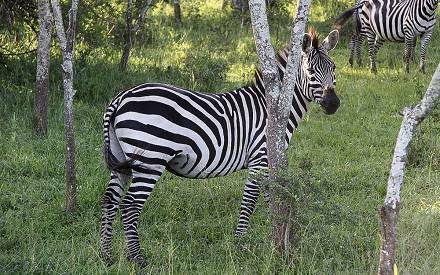 This tour through Uganda is the perfect combination of nature, culture & animalS. Enjoy comprehensive game drives, Uganda scenery, with game viewing on the savannah plains of Queen Elizabeth National Park, Murchison Falls NP, Lake Mburo - giraffe, elephant, lion, buffalo, hippo, and leopard among others. Track the fast moving chimpanzees in Kibale National Park and the endangered Mountain Gorillas in Bwindi. Enjoy canoes trekking on the beautiful Lake Bunyonyi as well as the unique tree climbing lions of Ishasha sector. This tour through Uganda is the perfect combination of nature, culture & animalS. All inclusive 15 day Uganda tour and holiday to mountain gorillas, chimpanzees in Kibale Forest, game drives in Queen Elizabeth National Park, Murchison Falls and Lake Mburo and gorillas in Bwindi Impenetrable Forest. This 15 day safari traces the western Rift Valley in the heart of Africa, starting with game viewing on the savannah plains of Queen Elizabeth National Park - elephant, lion, buffalo, hippo, and leopard. 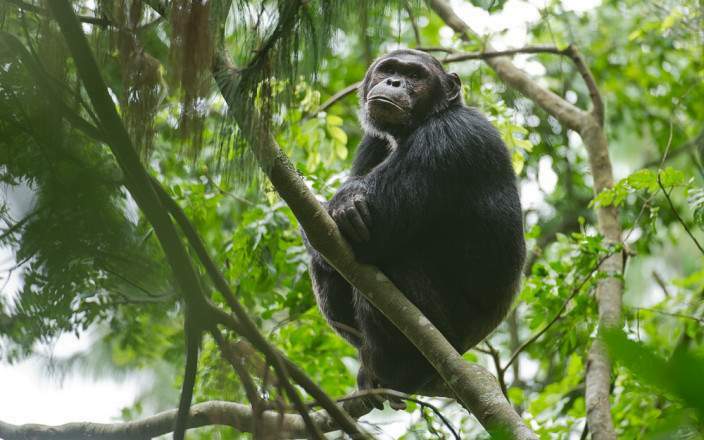 Track the fast moving chimpanzees in Kibale National Park. Where gorilla tracking takes place? Mountain Gorilla tracking is the world's most remarkable wildlife encounters and takes place in the remote forests of Bwindi Impenetrable National Park in Uganda, Mgahinga National Park in Uganda, Volcanoes National Park in Rwanda and Virunga National Park in Congo. 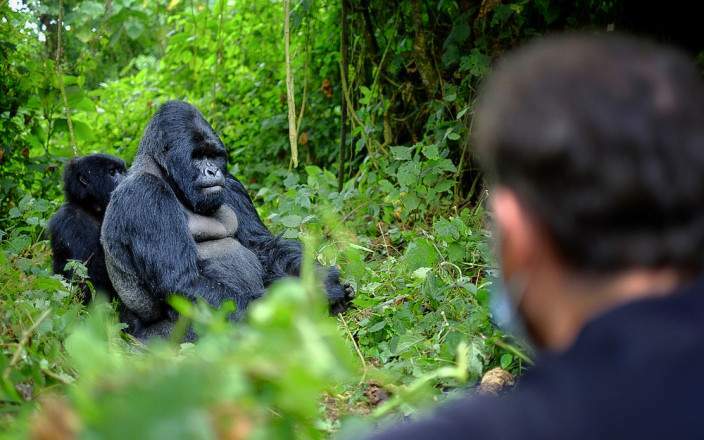 Uganda Wildlife Authority (UWA) the tourism governing body in Uganda sells 96 gorilla permits per day for Bwindi National Park (88 permits for 11 gorilla groups) and Mgahinga National Park (8 permits for one gorilla group). Due to the high demand of gorilla permits in the peak seasons (December to February and June to September) and other months of the year, most willing gorilla safaris trekkers are often left out. Within Uganda, Gorilla trekking is conducted in Bwindi National Park or in Mgahinga National Park. But because of the inconsistency of gorillas in Mgahinga, majority of the sold permits are for Bwindi NP. In Uganda, every gorilla permit goes for US $ 600. In the past years, April, May and November used to cost US $ 450. Please note that these offers no longer exist. On a single day, nearly 72 people travel into Bwindi to see gorillas and only 8 people are allowed to see a gorilla family. We strongly encourage you to book your gorilla permit with a safari agent, the most prominent mistake is to book a gorilla family which is far away from your choice of accommodation! The routes to Bwindi and its various regions are often tricky; this is a remote area. If you would like to do the gorilla trek on your own so as to save costs, you might end up incurring more. Safari guides have been trained to help you with this. 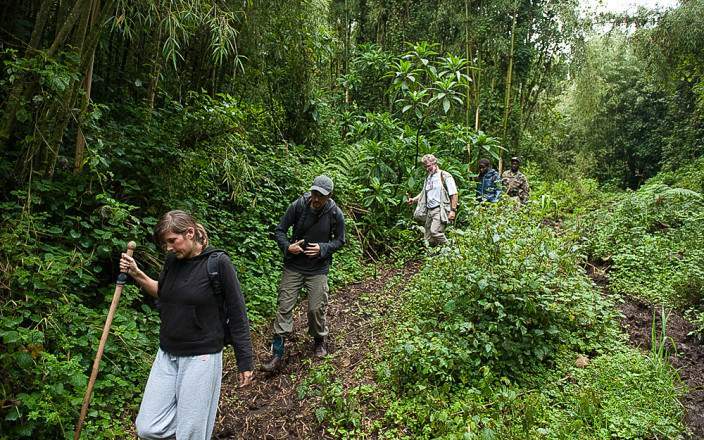 Several travelers intending to trek gorillas have found this process tiring and they have opted to the quicker less tiring option of reserving their trekking permits through a local Uganda safari operator. These tour operators normally add an extra fee of US$60 to US$100 for each permit. These gorilla tour companies won’t charge you for purchasing a gorilla permit in case you are going to use their other tour services such as transfers however if you simply want only a permit from them then they will put an extra charge of up to US$100 per gorilla permit they book, since they need to make calls, pick the permit, deliver it to you and other administrative costs. 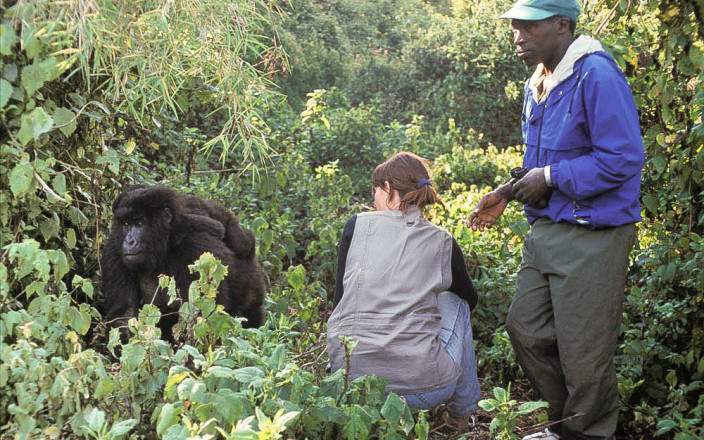 The process is more like the above, although the tour agencies normally speed up the reservation so you will be able to confirm your gorilla permit faster. They will inform you if your preferred dates are available for trekking and also temporarily book them. They will send you our bank details so that you can transfer the money for the gorilla permits or even pay by credit card. They will send you an acknowledgement email for the money transfer. Please remember to instruct your bank to deduct the bank charges for the transaction from your account. they don’t ask for any extra money for the gorilla permit if you are reserving the rest of your tour through them. Any additional costs will be for services like telephony and transport that will be incurred when acquiring the permit. Your names will be registered and then we acquire the gorilla permit. On receiving the payment they will buy the gorilla permit but then having this permit doesn’t 100% guarantee you seeing the gorillas although chances of seeing them are about 98%. How much does it cost for gorilla trekking permit in Uganda? Gorilla permits within Rwanda were recently increased up to $1500 per individual and then in Uganda they go each for USD 600. 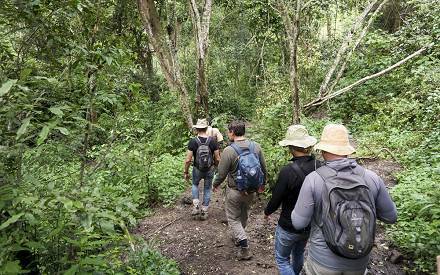 The permit offers you one hour with the mountain gorillas in a group of 8 people. Batwa still keen to return to Bwindi, Mgahinga forests. Devine African Safaris | Copyright © 2019 All rights reserved. Tel: +256703840771 | +256774859717 | Email: marketing@gorillasafariscompany.com | www.gorillasafariscompany.com | Skype:luboyera.nicholas | Whatsapp: +256774859719 | P.O.BOX, 3320 Kampala | Address: Lyamutundwe, Matia - Lwanga Road, Entebbe.